Beginning in January of 2013, $55 billion in military budget cuts are set to take place. These cuts in military spending are only a fraction of the $487 billion in projected defense spending reductions set to place over the next ten years1. Of the major defense contractors, almost all but one get over fifty percent of their sales from the U.S. government, Northrop Grumman being the largest at ninety percent 2. Defense contractors must adapt to these deficit-reducing measures. These corporations should examine energy-efficiency projects and tax incentives to cut costs and help remain viable in this volatile market. At the top of the defense supply chain is the military themselves, and they have already embraced energy efficiency as a major policy goal. Primary designer's of the military's energy efficient projects can claim the EPAct deductions under the primary designer laws. In this case the military benefits from the perpetual energy savings and designers have an incentive to design these energy efficient projects. The U.S. Army and Navy have both greatly benefitted this program and have both developed military protocols to process these deductions in a fair and efficient manner3,4. In the Army's case, they currently have an energy efficiency task force and these energy efficient retrofits will help them achieve their energy reduction goals 5. 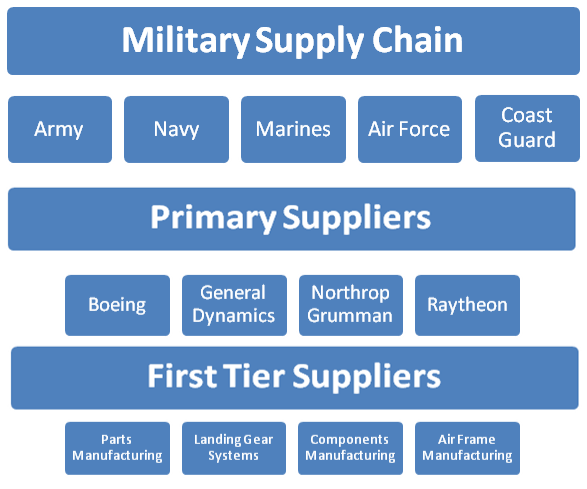 Once defense contractors analyze and retrofit their own facilities they should focus supply chain initiatives to incentivize their suppliers to follow suit. Walmart has enacted an energy efficiency program for their suppliers6. By sending their employees to audit their suppliers facilities they were able to cut their supplier's and their own costs. 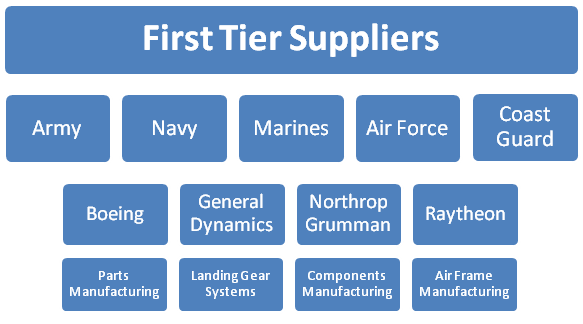 With the impending defense spending cuts, the defense contractors should aim to be as efficient as possible in their operations, and that includes utilizing energy efficient suppliers. LEED, or Leadership in Energy and Environment Design, is a building standard developed by the U.S. Green Building Council (USGBC) . Buildings built to this standard are by definition efficient and often qualify for $1.20-$.180 in EPAct deductions. Many defense contractors have LEED buildings in their portfolio. They should certainly evaluate their portfolio and make an effort to capture EPAct on their existing and future facilities . Since the enactment of EPAct in 2006, defense contractors have most likely completed qualifying retrofits and new constructions. The IRS allows for corporations to submit a 3115-change in accounting to go back and claim previously missed deductions. Defense contractors should evaluate previous completed retrofits; these projects will be a source of "easy money" for the industry and will require minimal work to capture. Defense contractors should follow the military's lead and work on reducing their facilities energy costs and operations. Energy efficiency projects typically have good economic paybacks A leaner military budget will mean lower revenue for defense contractors so these corporations should consider all opportunities to reduce operating costs.